PandaTip: Use this proposal as a chance to showcase some of your proudest projects. Your newest prospective client hasn’t signed yet, so get them excited by showcasing your work! 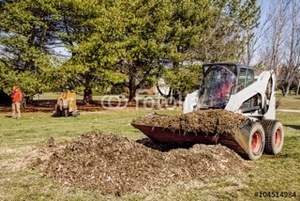 Thank you for considering [Sender.Company] for your landscaping needs. We pride ourselves not only on being landscape designers, but we are certified contractors as well. We are insured, bonded, and licensed by the State of [State]. We also offer lawn maintenance for your yard and garden, so you can relax while we create the perfect outdoor environment and take care of all the details (including clean-up). This proposal outlines our plan to create that special outdoor paradise for each unique client with unique desires, and how we intend to execute that plan. [Sender.Company] creates designs that will have the potential to add value to your real estate property. We help you conceive beautiful surroundings that increase in worth with time. We have established numerous Guides and Procedures for every phase of the project, and we are prepared for all situations with ready contingency plans, if necessary. We have risk analysis procedures to ensure a smooth and worry-free project flow. We even have a post construction maintenance and management service plans to continue to do the best job possible. We have [Years.Of.Experience] working on countless homes and businesses in your area. The best solution for a healthy lawn and garden area is to properly supply an adequate amount of water. In order to help you maintain this need, we assist in getting the ball rolling by recommending and installing a state-of-the-art sprinkler system. PandaTip: It’s great to lay out terms for your customers. By listing the services you offer, and tagging it with a description, your customers will knowledgeably follow along. You can also turn this into a pricing table, and add on another column to make your rates crystal clear. By using automatic controllers to supply water for the appropriate weather requirements, watering shall be scheduled depending on the plant materials, and seasonal needs. 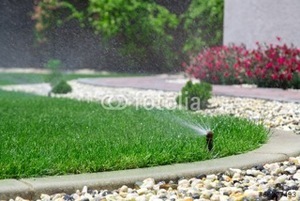 Typically, watering is best done at night or early morning if the system is automatic, unless owner decides otherwise. If any damages to the irrigation system occur, and have been the cause of the Contractor while carrying out maintenance operations, [Sender.Company] will repair these damages, free of charge. Cost of labor and material for repair is an additional charge, and will be paid for by the owner. In the event of an emergency, repairs or adjustments, other than regularly scheduled visits, a small charge will be applied. Note: In certain circumstances, there may be local watering restrictions. A true specialty of ours is creating eco-friendly organic and sustainable gardens. 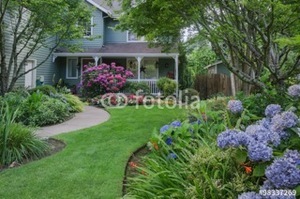 We are skilled with traditional home gardens featuring flowers, herbs, and shrubs. 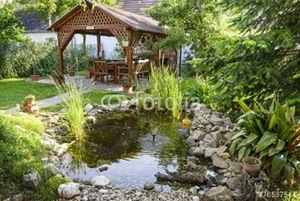 We also have experience with Japanese Zen, rock, and minimalist gardens. We are also certified in solar-powered garden light instillation, and irrigation and sprinkler systems. From building these gardens, we have the ability to understand the irrigation that it takes for natural water maintenance. 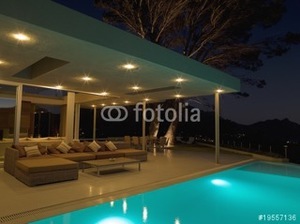 Lighting is an important to your outdoor environment, both for safety and ambiance. Prior to instillation, we will quote a per fixture, to better budget the project accordingly. Weed Control By using proper fertilization, mowing and watering practices, we’ll promote the growth of weed resistant turf. Perhaps a tree is making it difficult to safely pull out of your driveway…or maybe your lawn is in need of a tree or two? Following our initial conversation, [Sender.Company] will visit the property to better understand your needs, wants, and desires. This crucial step will allow us to put together an accurate estimate, the scope of the building materials necessary to complete the job, and to visualize needed access for any potential machinery or materials needed. 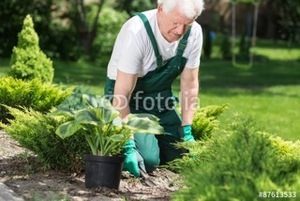 [Sender.Company] has been in the landscaping business for three generations since [Foundation Year], by [Founder]. We’re a grass lovin’, tree-huggin’, outdoorsy bunch, and we are committed to your lawn, and creating a perfect reflection for your very own outdoor oasis! PandaTip: Make sure you go over all of these General Terms, and include any/all important contractual factors or legalities that are necessary to get in writing for your business. As the contractor, we will recognize and perform in accordance with written terms, written specifications and drawings, contained or referred to within this document. We have the right to renegotiate initial contract if pricing or scope of work is affected by changes to any local, state, or federal laws or regulations that may go in effect after the agreement is signed. [Sender.Company] will furnish any materials, labor, equipment, or subcontractors as we deem necessary to properly maintain landscape needs. All employees will be qualified, competent and personable at all times. All employees are legal citizens, and authorized to work in the United States. Unless otherwise specified, all building materials provided shall be new. [Sender.Company] shall have complete control of the work, and shall be solely responsible for the construction means, methods, techniques, sequences, and procedures. As the contractor, we will comply with all laws, rules, regulations; as well as building and fire codes which relate to the work. This includes health and safety legislation and shall obtain any permits or licenses necessary for its performance as at the date hereof. This agreement shall be governed by and construed in accordance with the laws required by State or local law, and will comply with any other license or permit requirements of the City, State and Federal Governments. We also will comply with any municipal ordinances and all lawful orders of police and fire departments, and will not do anything on the premises in violation of any laws, ordinances, rules or orders. 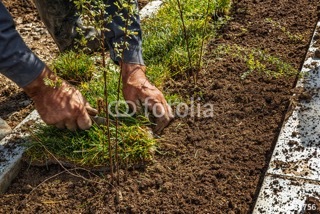 Additionally, contractor will maintain a landscape contractor’s license. In the event of any unlawful activities by [Client.Company] should occur on the premises, and the work is cancelled, there will be no refund of any kind. [Sender.Company] will use all proper and appropriate machinery, materials, and techniques to protect property, clients, and workers from any danger and safety hazards. [Sender.Company] agrees to provide comprehensive General Liability Insurance, Automotive Liability Insurance, and any other insurance required by law or owner/client. In the event of any damage caused to the property by [Sender.Company] during the performance of work, we will take responsibility and repair said damages. Additionally, it is understood that [Sender.Company] is not to be held liable for any damage of any kind, that is not caused by our own negligence by contractor or employees. After the completion of the projects, we agree to remove all debris, and leave the premises in broom-clean condition. Any services rendered, that are in addition to or beyond the scope of work required by this initial agreement will be billed separately. Prior to the start of any work, the client will provide [Sender.Company] with information regarding the location of property lines, and all subsurface utility and service lines, including but not limited to: electrical, telephone, gas lines, and water/irrigation pipe-lines. We may rely on the accuracy and completeness of all such information, and cannot be held liable for damages or costs resulting from any errors or omissions in that regard. Unless otherwise provided, [Sender.Company] will be responsible for obtaining any municipal building permits required. All Payments will be due within 20 days after receiving them. If after seven business days after payment due-date, the invoice (or other agreed upon payment method) goes unpaid; contractor holds the right to cancel the agreement. [Client.Company] will help to (within reason) create access to all parts of the job site. Additionally, all utilities are to be provided by the owner/client. PandaTip: Want to make sure your clients are dotting the “i’s” and crossing the “t’s”? Have your prospect initial after certain, or extremely important sections to ensure that there isn’t any confusion. After initial agreement, [Client.Company] has the right to terminate this agreement at any time and no cause needed. [Client.Company] must send written notice to [Sender.Company] through certified mail. If agreement is terminated, [Client.Company] is liable for product or services, and/or payments performed, up until date of termination. If either party should fail to honor the terms of this contract, the affected party must notify the other party in writing, through certified mail. Should conflict go unsolved within 10 business days, the other party also has the right to terminate agreement. If at any time, [Sender.Company]‘s work performance threatens any health or safety regulations, [Client.Company] has the right to cancel the agreement. Failure to maintain up-to-date licenses, insurance, and permits has the right to terminate the agreement. PandaTip: Outline your payment plan, and be sure to include any specific information like late fees and any other important information you would like to include. [Sender.Company] will submit monthly service invoices for the amount set fourth, depending on: materials, labor, and work required. PandaTip: Customize this table for the unique way you handle your estimates and be sure to include descriptions and pricing, and clarify how you can justify the total.